(SPOT.ph) Although April 9 marks the celebration of the Day of Valor or Araw ng Kagitingan and is declared as a regular holiday, we know a lot of you still have plans around the Metro for the day. 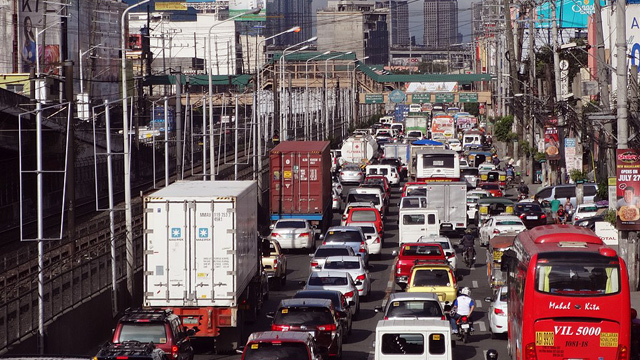 If you're planning on driving around getting errands done, take note: The Metropolitan Manila Development Authority is temporarily lifting the number-coding scheme around the Metro, advising motorists to plan their trips accordingly. 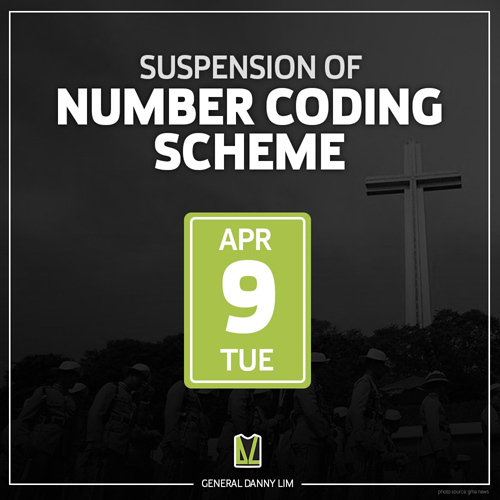 First implemented in Metro Manila in 1995, the number-coding scheme is part of the Unified Vehicular Volume Reduction Program. It bans vehicles from plying roads in Metro Manila one day a week, depending on the last digit of their license plate. The policy recently received an update pushing for the removal of the "window hours" policy which allows vehicles to pass through certain roadways even on coding day.